Well now that baby Reese is almost 1 year old it's the perfect time to finally blog her mamas maternity photos! My amazing client, fellow boss babe, and friend Kati took me along to her companies annual summit last year, this time in New Orleans. The year before I had also joined her as her personal paparazzi for the convention in Nashville. Oh what a difference a year can make! This time her handsome Rich and a baby bump were along for the ride! 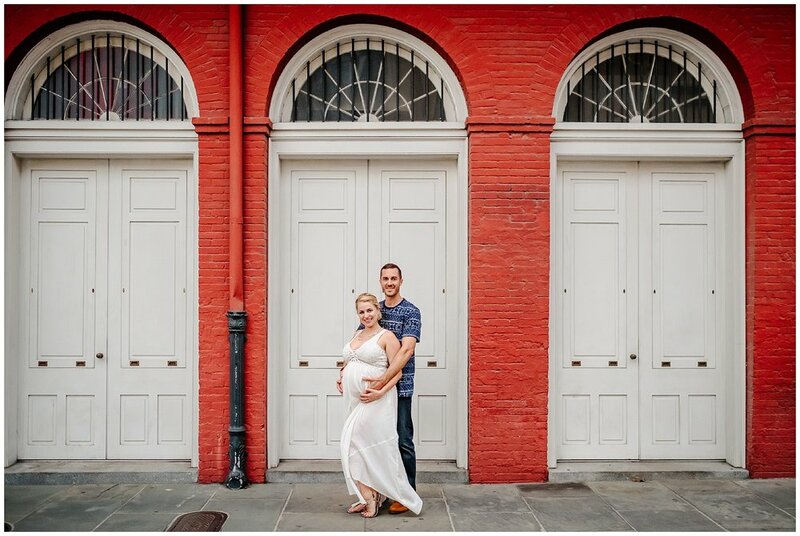 We took to the streets of NOLA straight form the airport for some fun and romantic maternity portraits! 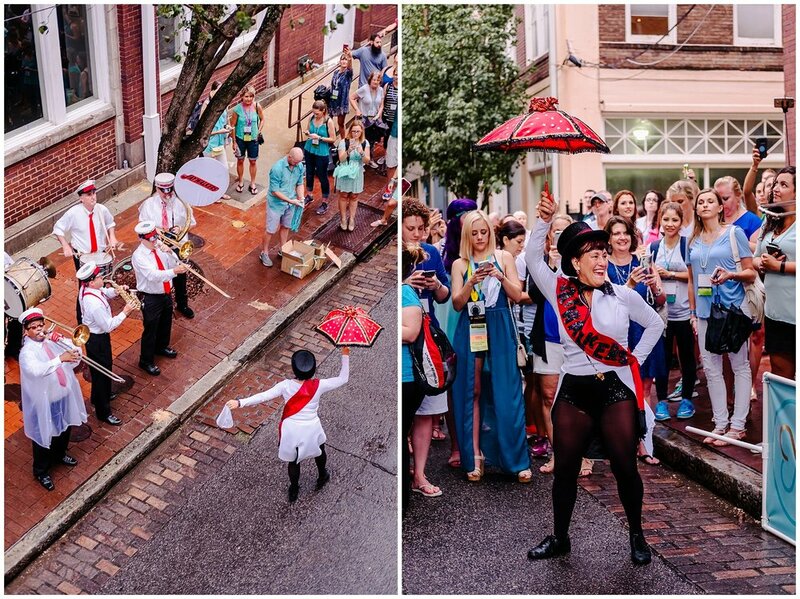 Over the next few days we connected with her team and even took part in a secodn line parade!